Want to win a trip to the 2020 Kentucky Derby? if so, then enter into the Kentucky Derby Sweepstakes Contest right now for a chance to win two (2) tickets to the 2020 Kentucky Derby & Oaks including VIP Tickets & $5,000 cash in the form of a check which can be used towards your Travel. 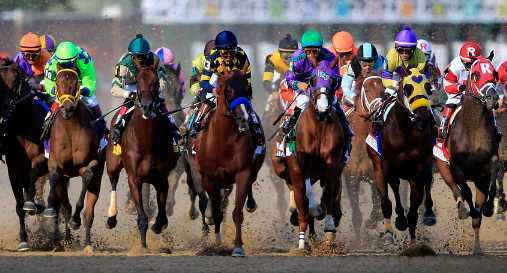 Prize: There will be one grand prize winner in this Sweepstakes who could receive 2 tickets to 2020 Kentucky Derby, 2 tickets to 2020 Kentucky Oaks and $5,000 cash which will be awarded in the form of a check or wire transfer, payable to winner) which may be used towards transportation, hotel accommodations and/or other activities at the event. Total ARV of grand prize is:$8,500.!! When To Enter: This sweepstakes entry begins on March 04, 2019 at 12:01am. (EDT), and all entries must be received by November 03, 2019 at 11:59 p.m. (EDT). Who’s Sponsor: The Sponsor of this Sweepstakes is Churchill Downs Racetrack, 700 Central Avenue, Louisville, Kentucky 40208.